Vijaywada, the place of victory, is a divine place known for its religious significance. It offers a wonderful opportunity to the tourists to see the historically rich and architecturally outstanding locations and structures. The place holds many Buddhist pilgrimage centers and holy Hindu temples. It also has many scenic islands and ancient caves that impress tourists from far flung regions. Kanaka Durga Temple, Akana and Mandana Caves, Malleswaraswami Temple, The Amravati Stupa, Ashokan Pillar, Amravati museum and Kondapalli Village are some of the worth exploring places in Vijayawada. 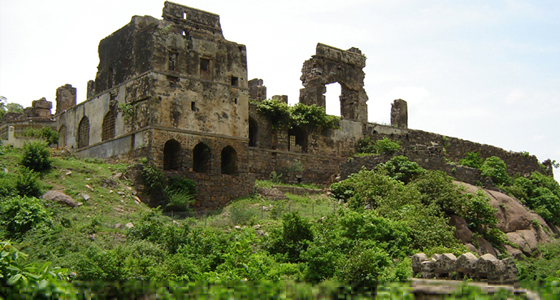 At Tour My India, we have a well planned Hyderabad Vijaywada Weekend Tour that can make your weekend refreshing and knowledgeable. Our tour will allow you to take a tour to some or the other striking places that even today appeal and capture the imagination of the travellers. So, give wings to your thoughts and take a trip to Vijaywada located near Hyderabad this weekend. In the morning drive to Vijayawada. Vijayawada literally means "City of Victory'. 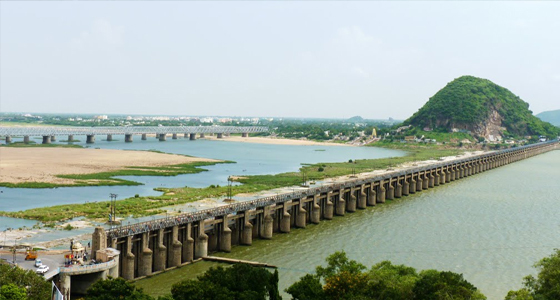 Located on the bank of Krishna River in Krishna district of Andhra Pradesh, it is the biggest city in the district and 3rd largest city of the state. The best thing about this place is that travellers visiting the Buddhist centre of Amaravathi start their journey from this place. On arrival, transfer to the hotel for an overnight stay. After breakfast, we will leave for city sightseeing tour of Vijaywada. We will be visiting the renowned Kanaka Durga Temple. Kanaka Durga Temple is located on an Indrakeeladri hill failing to notice the city as well as the Krishna River. One can find words of several dynasties in the temple. Thousands of devotees from the city and its surroundings visit the temple after taking a holy dip in the River Krishna during Vijayadashami festival. Further, we will be visiting Akana and Mandana Caves, which are dedicated to Akana and Mandana who were ministers in the court of Abdul Hasan Tanashah in the 17th century. 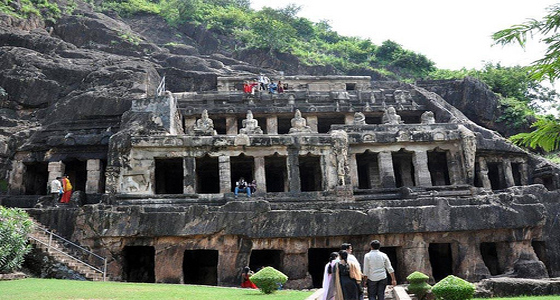 There is another cave located at a short distance from these two caves, which date back to 2nd century BC and host the trinity of Brahma, Vishnu and Maheshwara. On the way back to the hotel, we will be visiting the Malleswaraswami Temple, which is nestled on the Indrakiladri hill. The god worshipped in the temple is Mallikarjuna popularly known as Malleswara. He is even referred to as Malleswara in the ancient Hindu religious epics - the Puranas. According to the legend, the idol of the god was installed by Yudhishthira, the eldest of the five Pandava brothers. He established it to honour his victory in the south. From that day, the idol is worshipped with dedication and devotion. Later in the afternoon, we will drive to Amravati to view the ruins of Buddhist Stupas, also known as the Mahachaitya Stupa. The Amravati Stupa was believed to be the largest stupa in the country. Today, only the leftovers of the stupa can be seen. The place is of high interest to the travellers who are interesting in learning about the history of Buddhism. Here, we will also visit the Ashokan Pillar and Amravati museum. In the evening, we will return back to the hotel for an overnight stay. After breakfast, we will drive back to Hyderabad. En-route, we will visit Kondapalli Village. Kondapalli Village is a small village with many hard working artisans working on the Puniki wood and painting them with enamel colours. Further, we will continue our drive to Hyderabad. On arrival at Hyderabad, we will drop you at your place.